For any student wanting to participate, a table will be set up at the NTU Wellness Center today, April 24, 2019 where a recorder will track how many push-ups you are able to consistently do (set up from 9 am - 4 pm, break at noon). 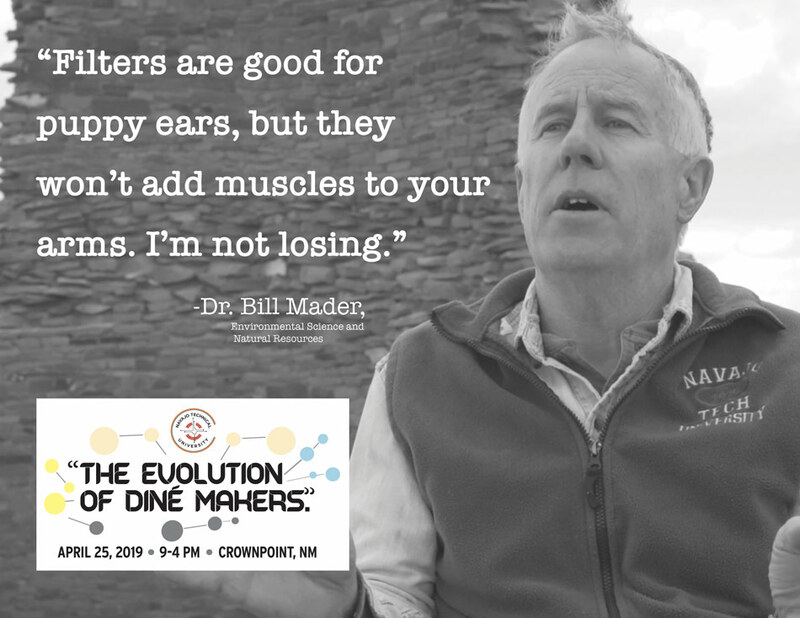 The top 5 students will then have a day to rest, and then go head to head at 9:30 am on April 25th at the 2019 Diné Maker Nation Faire in the NTU Wellness Center. Do you agree with these topics? Would you like more information? Come to one of our scheduled sessions (see attached flyer). For more information, contact Dr. Casmir Agbaraji at cagbaraji@navajotech.edu. 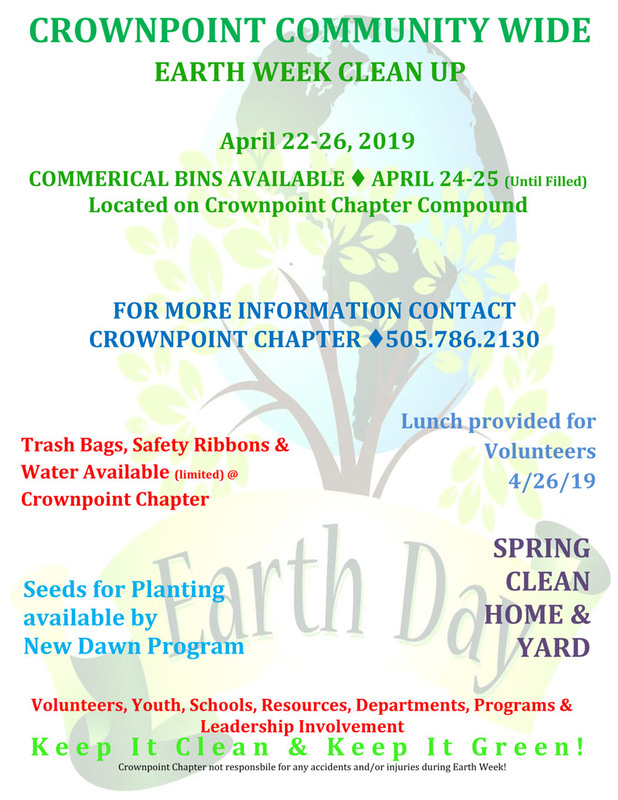 Attached is a flyer for the Crownpoint Chapter's cleanup. 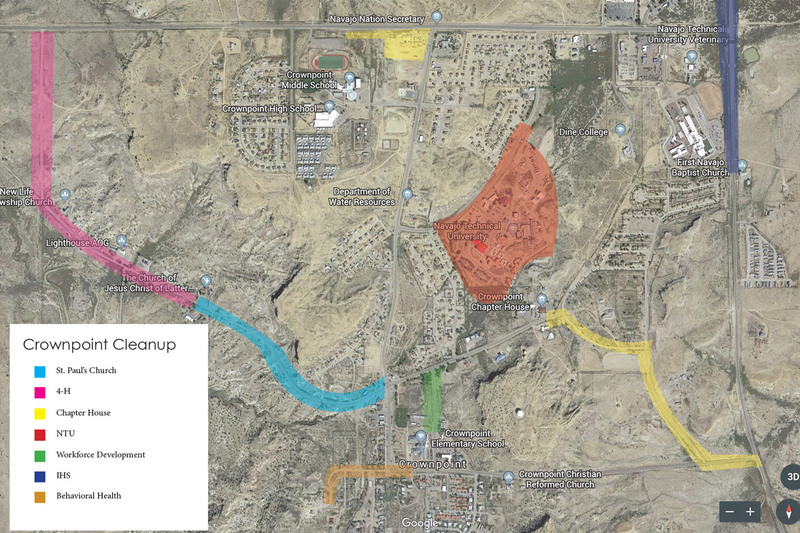 In addition to focusing our clean up on April 22, we'll also be doing extra clean up on Friday, April 26, 2019. If you'd like to participate, we'll have our canopy set up by 9 AM at the entrance of campus on Monday morning. We'll have bags, water, and gloves ready for distribution. 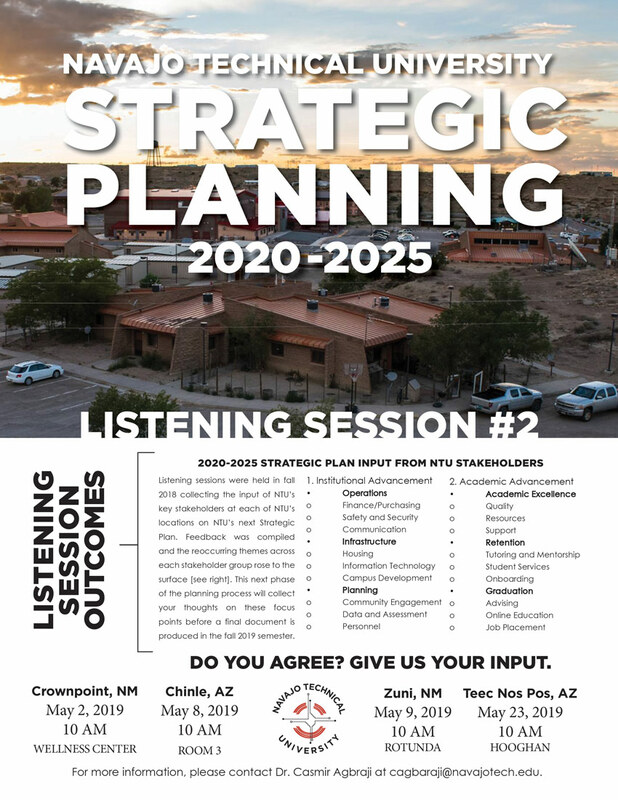 For more information, contact Daniel Vandever at dvandever@navajotech.edu.